Having served the Kansas City Metro area for more than 18 years, KC One has a record of success in quality and dependability that speaks for itself. Today's construction market demands responsible subcontractors with the ability to perform safely, financially, and professionally. Long-term partnerships with contractors and owners alike are a testament to our strong work ethic and core values. If you are a contractor or business owner looking to partner with professionals that really do care, look no further than KC One, and expect high standards with superior results. Avenue 80 is a mixed-use development in downtown Overland Park at 80th and Metcalf. This project consists of 200 upscale apartments in a wide range of configured styles, a 4-story office tower with a 5th-level clubroom featuring an outdoor patio, grade-level retail space, a 4-story precast parking structure, a central courtyard with outdoor living amenities, and a clubhouse complete with a fitness center and amenities. 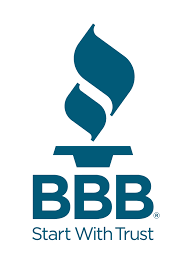 Check our BBB rating for yourself by clicking the heading above. KC One operates based on merit and performance. The District, a true mixed-use facility in the heart of the ever growing Lenexa City Center, boasts 175 apartments above grade-level retail and restaurant space, three 5-story office towers, two parking structures, and upscale amenities. © 2019 KC One Service Company, Inc.